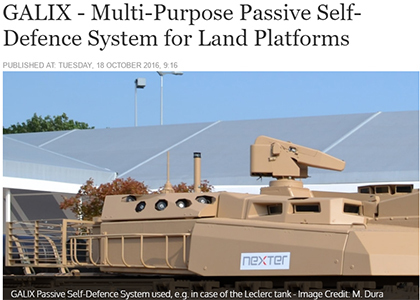 Lacroix , in collaboration with Nexter, developed Galix: a passive countermeasures system for land forces. 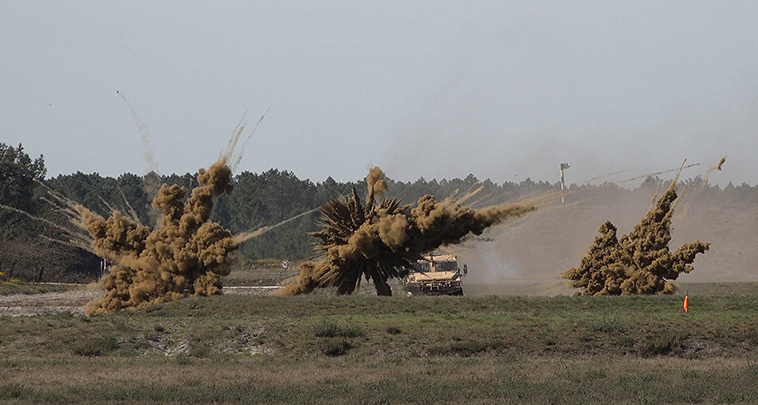 The Galix System hides fighting vehicles from an approaching threat and protects the vehicles, main battle tanks and APCs. 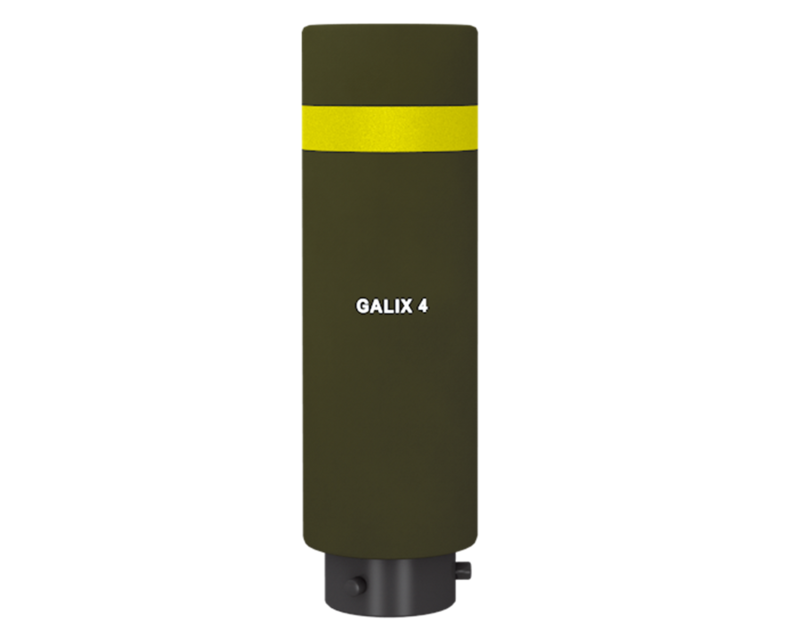 The Galix System features up to 24 mortar-like launchers for decoys and less-lethal ammunition. 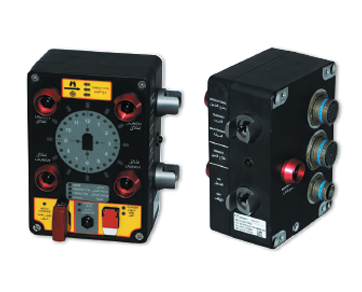 Three variants of the control system are available. 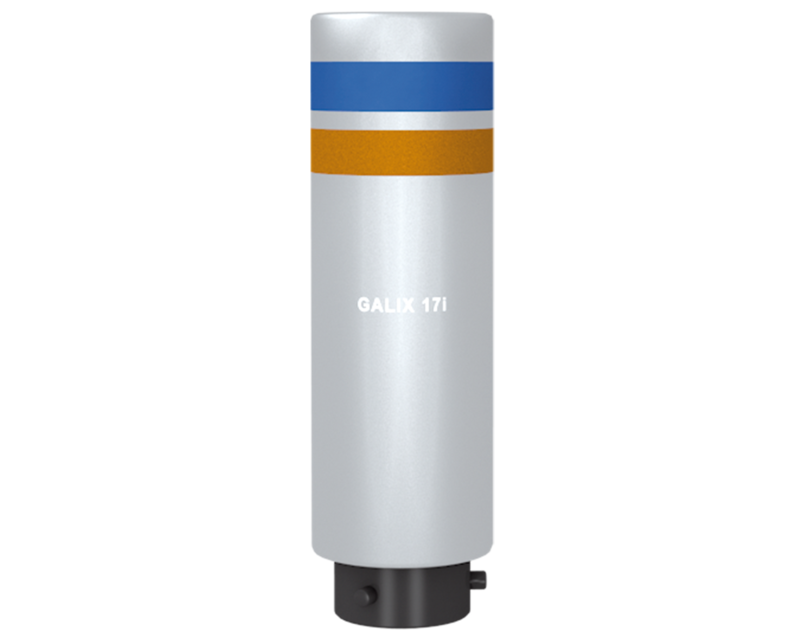 For light vehicles, - an autonomous GALIX system with a manual launch option. 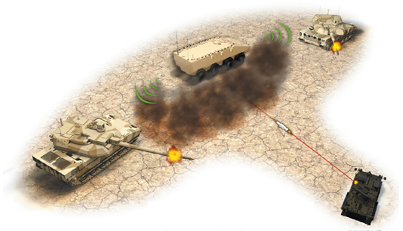 For combat vehicles - when a threat emerges unexpectedly, a fully automated variant of the system comprising a variety of sensors, including laser warning sensors, will take action . 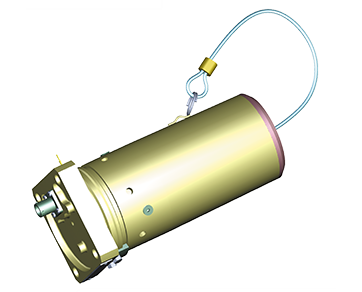 For "group protection" - launchers may also be utilized to provide protection to vehicules operating nearby. 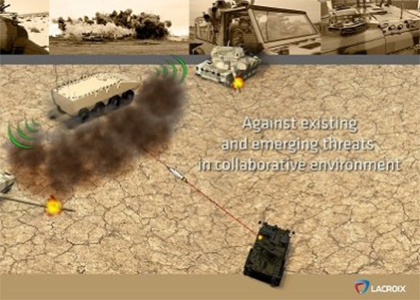 The system detects the position of the threat and transfers this data to the fire control systems of the infantry fighting vehicles and main battle tanks. The Galix suite is not only for the purpose of self-defence (passive action) but also to actively neutralize hostile personnel. 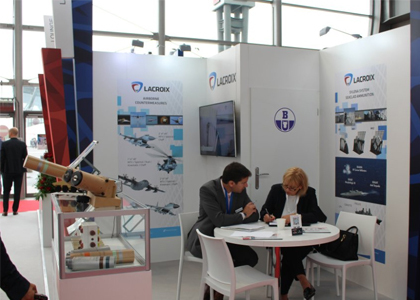 Lacroix offers combat proven solutions which are unique and global in scope. 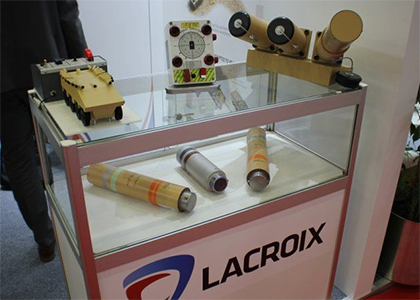 Land passive defence systems manufactured by Lacroix have been installed on more than 5,000 military vehicles. Sweden has also selected the GALIX system which now equips the Stridsvagn 122 main battle tanks (derivative of the Leopard 2 platform) and CV 90 IFVs. 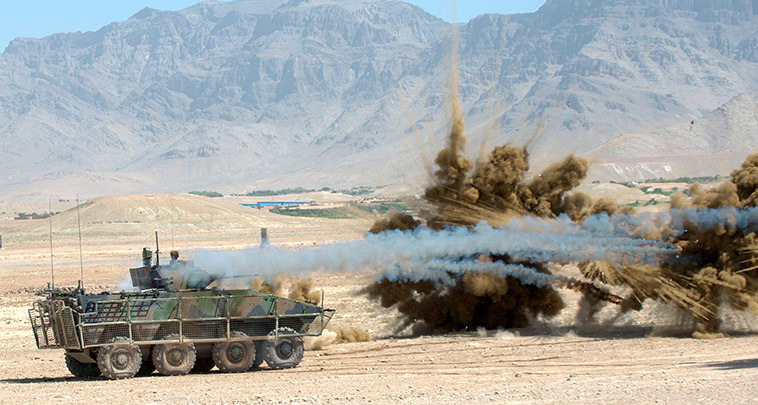 GALIX launchers also equip the wheeled 8x8 Centauro vehicles and Ariete tanks. 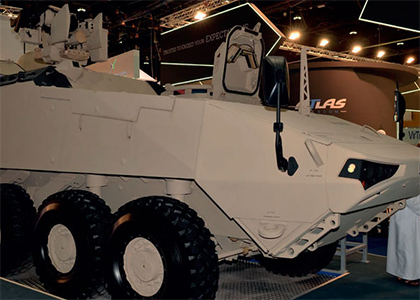 Galix has recently retrofited the BMP3, G6, M113, M109 and equipped other new vehicles (RG 31 and NIMR Dcan) in the UAE. 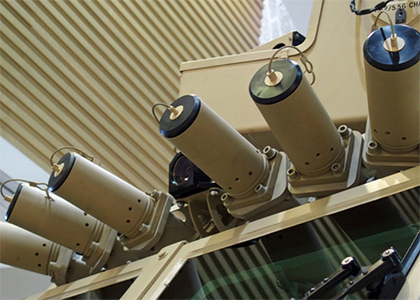 The Galix 360 degree automatic obscuration system protects armored vehicles against all types of guided missiles. 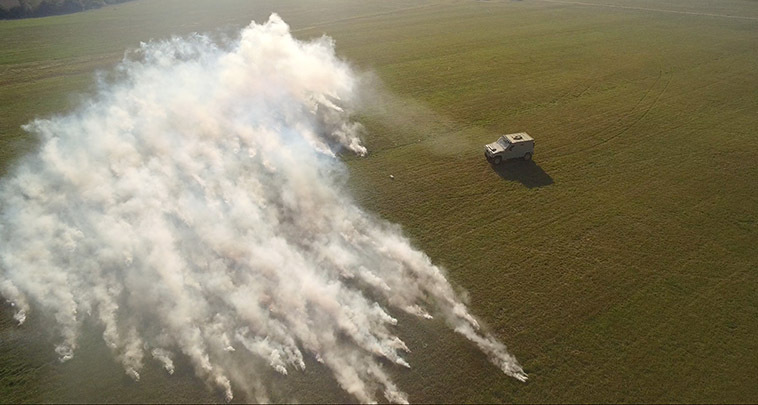 Vehicle screening by creating an opaque screen in the visual and infrared ranges (thermal camera, laser, homing missile, etc.). 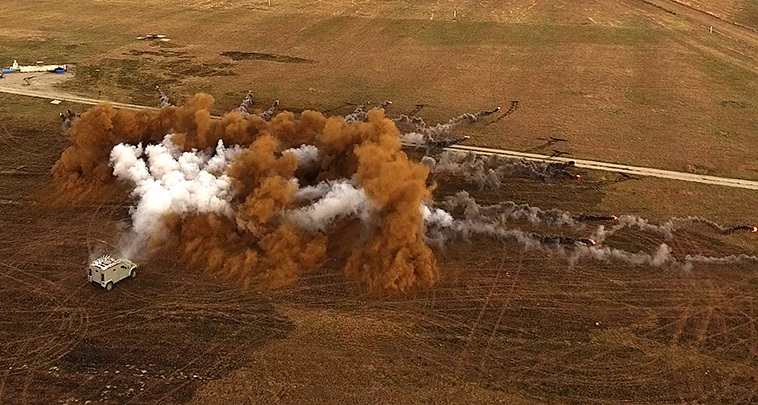 Ammunition simulating the effect of the multiband smoke screen GALIX 13 round. 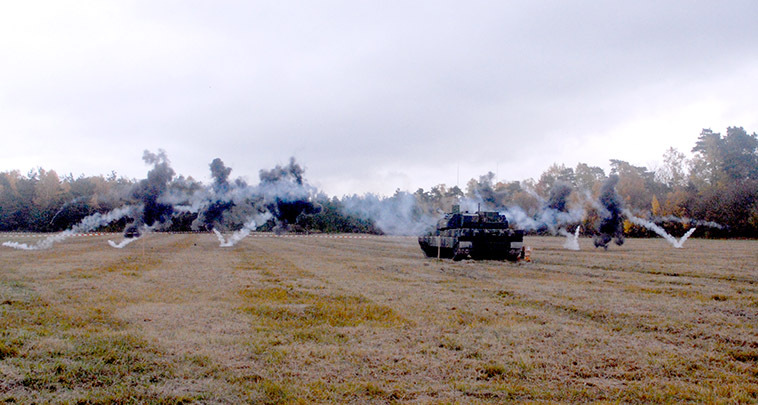 Creation of an opaque smoke screen in the visual and infrared ranges in order to provide vehicle screening. 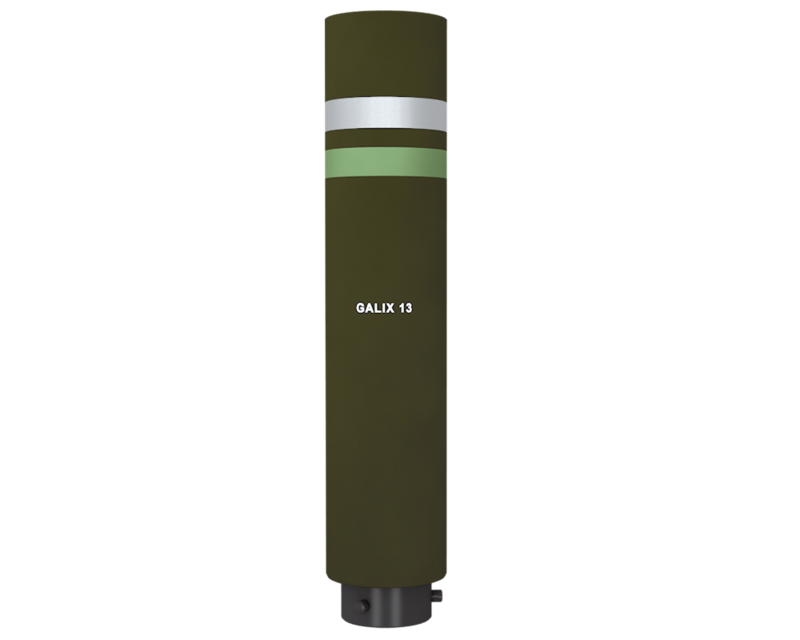 GALIX 17-I ensures training for the combat proven ammunition. 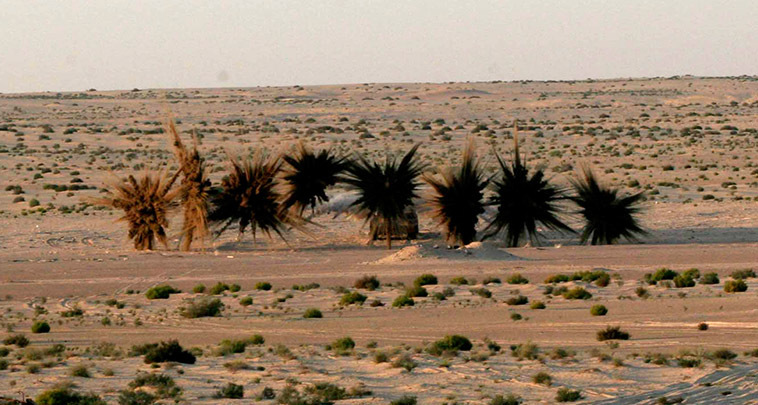 To immediately disable all hidden or approaching personnel. 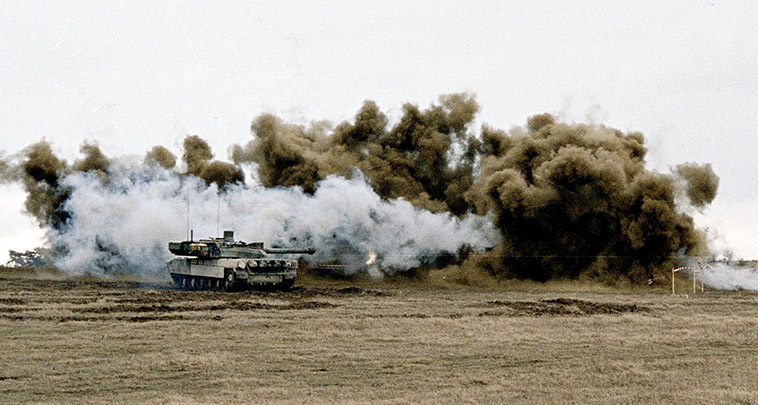 Ammunition used on Leclerc MBTs and VBCI around the vehicle. 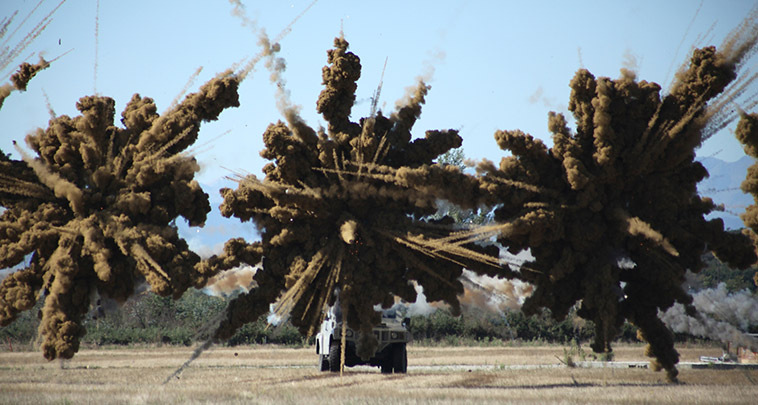 This ammunition covers a range of 50 m around the vehicle. 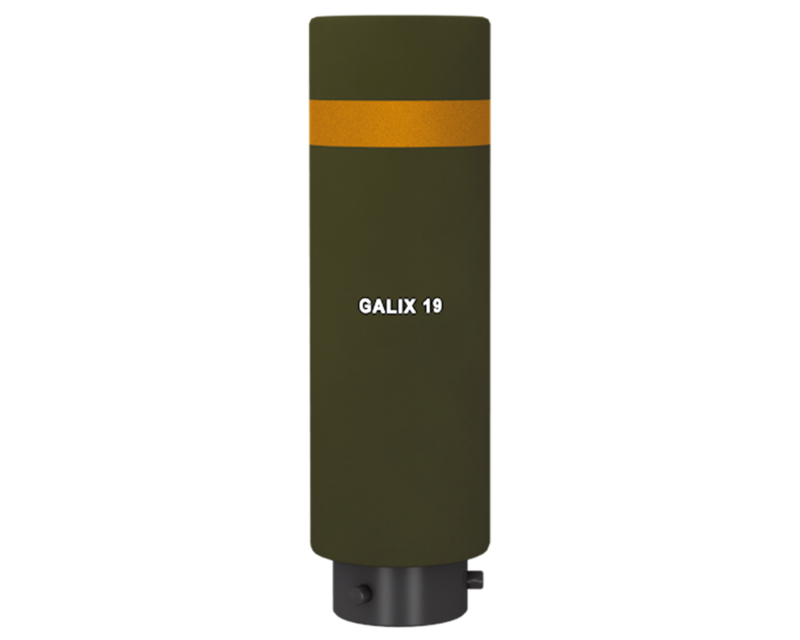 The Galix 19 is a less-lethal terminal effect ammunition used to provide an alert or a last warning during riot control operations. It can also be used to establish a perimeter protection. 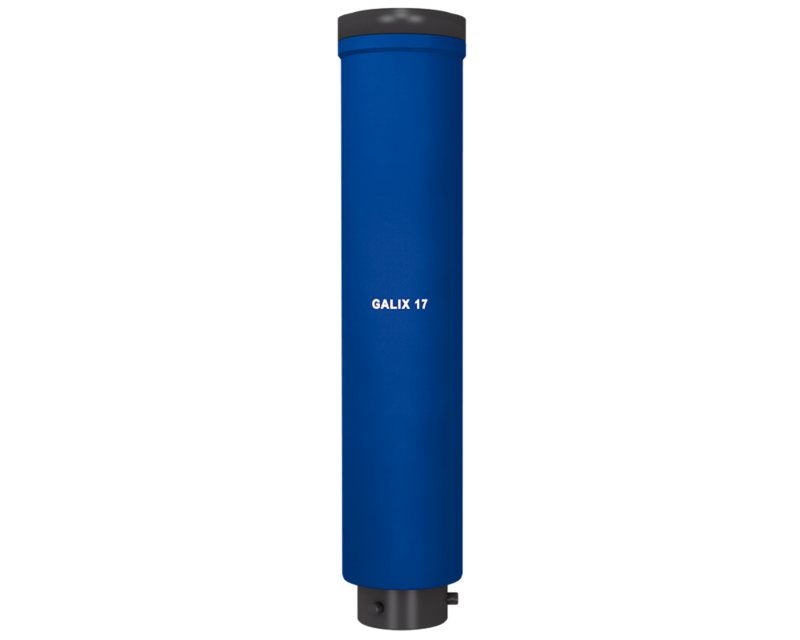 Galix 19R provides a dissuasive "stun" effect. 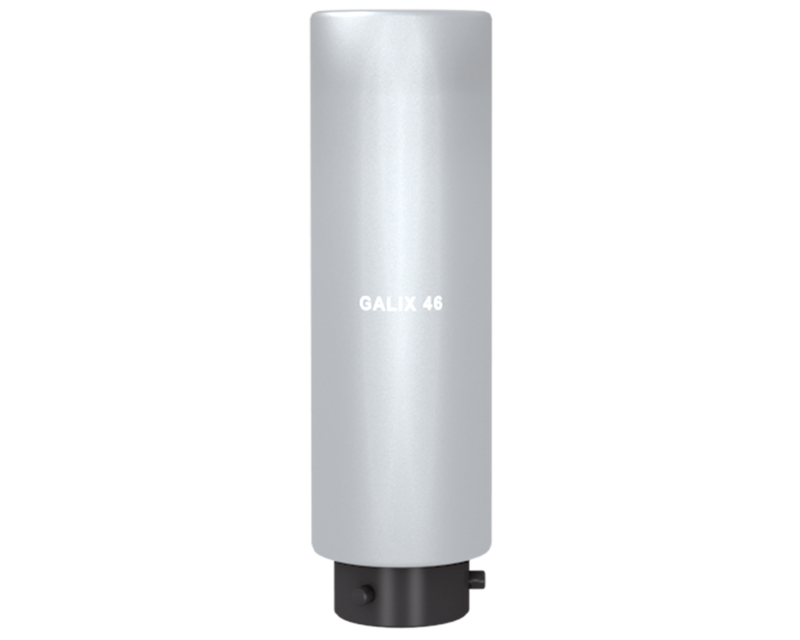 The Galix 46 less-lethal ammunition is used in association with the Galix protection system. 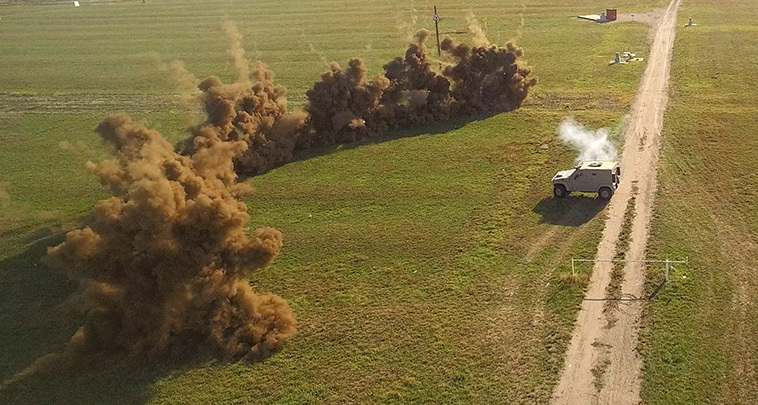 It is designed to create a protective area around the vehicle by delivering a graduated response to hostile crowds or aggressive and isolated individuals.